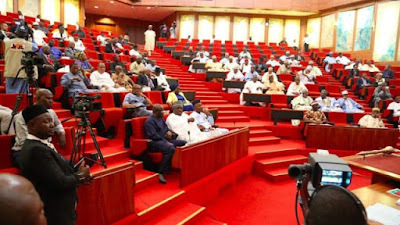 The Senate has scheduled for debate and investigation allegations of human rights and constitutional violations by the President Muhammadu Buhari administration. However, the absence from chamber of Umaru, who is a member of the All Progressives Congress (APC) from Niger State, caused delay in the commencement of debate on the issues. A key prayer of the motion is that the Federal Government should urgently investigate all cases of human rights abuse allegedly committed by the police, Nigerian Army and other security agencies in the course of discharging their duties, with a view to identifying the culprits and victims and offering redress where necessary. In the motion, the Federal Government is being urged to demonstrate practical commitment to the observance of the rule of law, especially in ensuring obedience to court orders and following due process in fulfillment of its constitutional obligation. “Release of the $496 million from the Excess Crude Account (ECA) for the purchase of 12 Super Tucano aircraft from the United States government without prior approval by the National Assembly” was also listed as one of the actions by the executive taken in direct contravention of section 80 of the 1999 Constitution.